Gotcha! Catch the Grinch in the act of stealing a Christmas tree, just like he did in How the Grinch Stole Christmas! 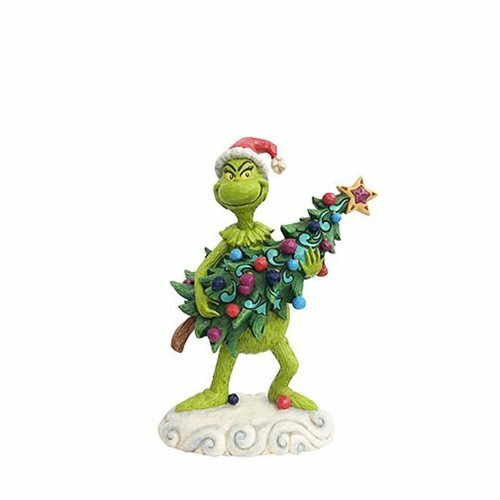 The Dr. Seuss The Grinch Grinch Stealing Tree Statue by Jim Shore is made of stone resin and stands approximately 8 2/3-inches tall. Nab him before he gets away!